Morocco’s coast is teeming with beauty, starting with Casablanca. Situated in the north-west of Morocco, this city is a popular hub for art, shopping, and Mauresque architecture. It's no wonder that this town was the inspiration behind the famous film "Casablanca". 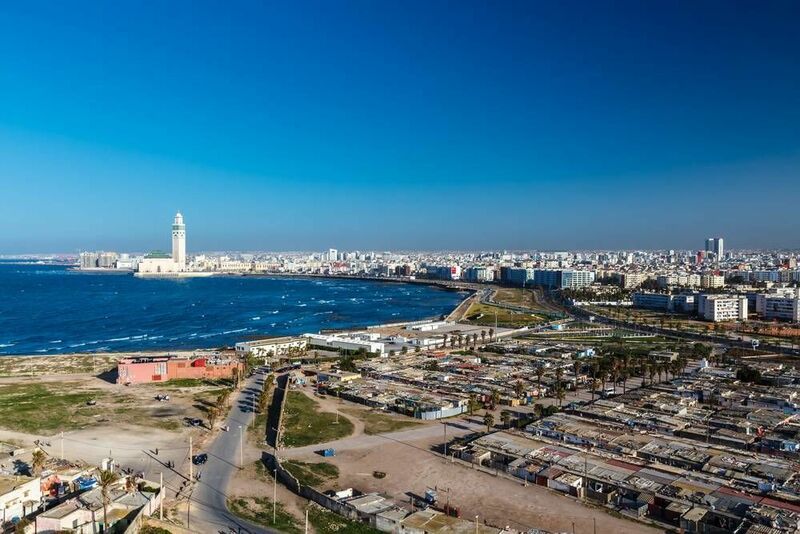 With breath-taking scenery as far as the eye can see, there is something for everyone in Casablanca. If you’re looking for a relaxing getaway, check out Aïn Diab, a stunning beach near the city centre. This beach features a gorgeous waterscape as well as shops, restaurants, and bars. Another mesmerising beach is Plage Lalla Meriem, a popular and lively spot during the summer months. For an authentic Moroccan shopping experience, stop by Habous, a local hang-out lined with artisan shops and stores. Lastly, don’t leave Casablanca without visiting Morocco’s oldest Mosque and the 13th oldest Mosque in the world: The Hassan II Mosque. There are a few self-guided tours available in Casablanca that will help you get around the city with ease. Learn the best landmarks to visit, how to get there, and what to avoid. This tour is an excellent overview of the city that walks you through the most iconic sights. Stop by the famous Hassan II Mosque, Place Mohammed V, Casablanca Cathedral, and much more. Simply download the Casablanca Sights and Sounds app on your phone, and you're good to go. The overall tour takes approximately 3-hours; however, this depends entirely on how much you want to see and do. If you’re interested in Casablanca’s history, French influence, and multicultural atmosphere, then this tour is for you. This self-guided tour lets you explore the Chorfi Art Gallery, Villa des Arts, and Galerie Athar. Again, all you need is a phone, and you can download the app directly to it. Map your tour out, select the landmarks that interest you the most, and get walking! The tour lasts approximately 2-hours. But you can extend it as long as you want and cover up to 5.5 km. Below you can find more popular (but not free) activities and tours in Casablanca. Are you from Casablanca and want to be a tour guide? Please get in touch by submitting your details on this page!